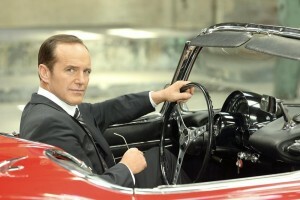 Interview with Clark Gregg about the upcoming fourth season of Marvel's Agents of S.H.I.E.L.D. 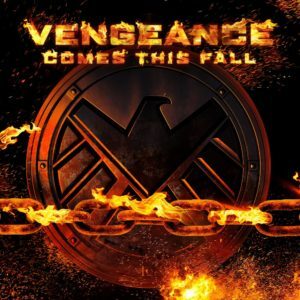 The fourth season of Marvel’s Agents of S.H.I.E.L.D. premieres Tuesday, September 26 at 10PM ET/PT on ABC, and the new year will bring some more elements from the Marvel Universe, including life model decoys, a new Director of S.H.I.E.L.D., and the Ghost Rider. We spoke with actor Clark Gregg (Phil Coulson) at a party during the ABC portion of the Television Critics Association Press Tour to learn more about his reaction to these new additions. Additionally, Gregg speaks to us a little bit about crossovers [or the lack thereof] with the Marvel Netflix shows. KSITETV’s CRAIG BYRNE: How excited were you when you found out that the Ghost Rider was coming to the show? CLARK GREGG: I was very excited. He’s a legendary character that the fans love, and at the same time, I thought ‘Wow! That’s really a gutsy move on their part,’ because it’s a character that so far has really been difficult to bring to life on screen. If anybody can pull it off, it’s our VFX team, Chris Cheramie and Mark Kolpack. I’m very curious to see how they make it work on our show. And what was your reaction when you heard that Jason O’Mara had been cast as the new Director of S.H.I.E.L.D.? I’m a fan of his. I was psyched, personally. Coulson has ambivalent feelings about anyone else running the show, but I think deep down, he’s really happy to be back in the street. Are the Avengers ever going to find out that Phil is alive? 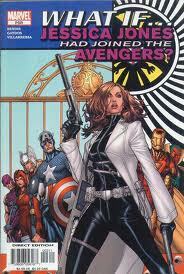 That, you would have to ask the World Council at Marvel. Well on the note of the World Council at Marvel… there was a comment made at Comic-Con about “corporate stuff” keeping S.H.I.E.L.D. from crossing over with shows like Daredevil or Jessica Jones. Is that really the case? Yeah. I mean, they’re different entities. ABC and Netflix are not the same company. I was mostly making a joke, just because that’s my understanding of the nature of it. It’s one thing if we’re all on an ABC show, but it’s not that easy if they’re produced by different producing entities. It’s the same reason we haven’t had any of the X-Men in any of the Marvel movies, yet. Except for Quicksilver! Of course, now Marvel TV is doing a mutant series…. What excites you the most that you’re allowed to talk about with Season 4? All I know is, we saw Dr. Radcliffe putting together what looked like an LMD, and as a big fan of Ex Machina last year, I just hope we get some of that cool stuff.